In recent years, companies have rushed to meet the demand of adventure seekers who are wanting to find the best in travel gear as they attempt to experience the very best of nature in their travels. 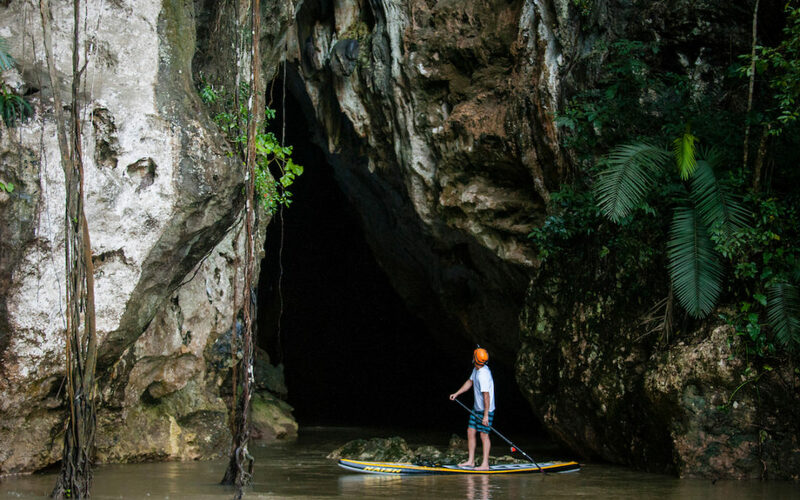 One such gear that should be on your list, whether you’re an experienced traveler or new to the sport, is an inflatable stand up paddleboard.They’re easy to travel with and opens up a whole new world of possibilities of exploring and will help you to make the best of each adventure. Every person knows that an inflatable paddle board floats but some don’t know that they fly! They can be rolled up after being deflated and packed into a large bag or a wheeled backpack for easy storage and transporting during travel. You can even check it in with your regular baggage. An inflatable SUP is made using materials that are military grade and designed to take a beating. These inflatable SUPs are ding-proof and almost virtually indestructible, unlike their traditional counterparts. You don’t have to worry about putting a ding in your inflatable SUP when it gets tossed into the baggage area of a plane. These inflatable paddle boards are built to take a licking and keep on ticking. An inflatable SUP can go just about anywhere you do, it rolls up neatly and be put in the bottoms of your sleeping bag. You can also store it under your bed, in the closet or in the trunk of a car. Catching a cab is easier than you think! You can haul an iSUP around in a convenient wheelie bag, this may not seem like a big deal to most but on the move in the airport or unfamiliar streets, it can make a huge difference to a traveler. Your arms will thank you for this.